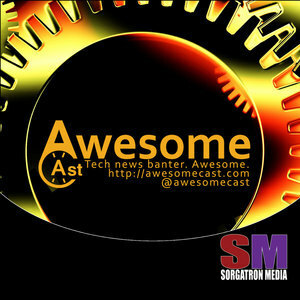 We found 8 episodes of AwesomeCast: Tech and Gadget Talk with the tag “android”. Krause, Chilla, and Sorg are back in studio this week to run down the tech news you should know about. It was rather fortuitous that Brian Crawford of the River’s Edge happened into the studio on Podcast Day. What better than to get him set up with Sorg and Chilla as we talk this week’s tech news. Sorg and Chilla are celebrating the return of all of the old things this week. John Carman joins us in studio as we head into the Thanksgiving holiday. Together with our usual tech hounds – Sorg, Chilla, and Katie, the gang shares some of this week’s tech news.